Review article: Workmates – direct action workplace organising on the London underground. The pamphlet is divided into two main sections; a more or less factual account of the workplace situation and the various disputes, followed by a set of ‘conclusions’ setting out SolFed’s anarcho-syndicalist interpretation of the lessons to be drawn. It’s easy to criticise the form these ‘lessons’ take, which is more or less standard for political groups of all stripes. But of greater interest is the content of their claims. For SolFed the experience of the Workmates collective, without being presented as a blueprint is given as something of a model that can be generalised. But as we shall see, there are several barriers to this which the pamphlet doesn’t sufficiently explore. In the 1990s, privatisation of the maintenance side of the London Underground was gathering steam. 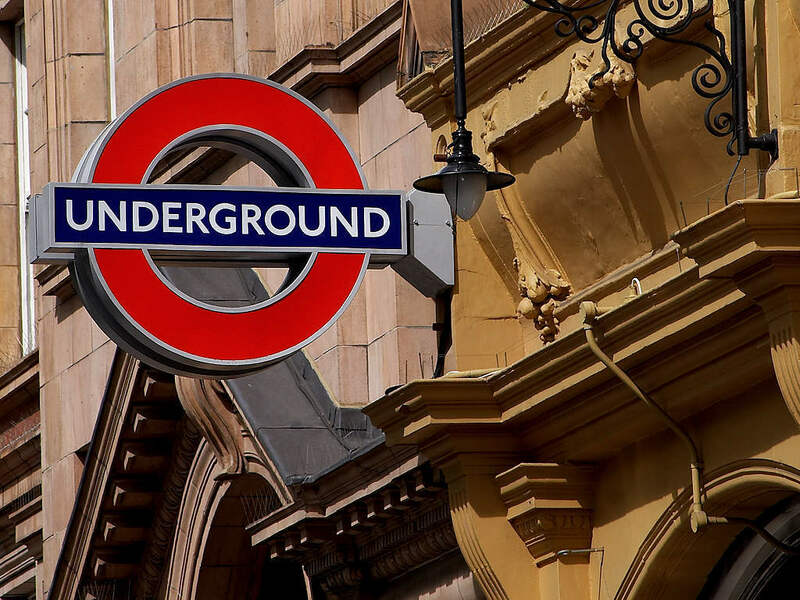 With the memory of a recent ‘sell out’ by the RMT union fresh in their minds, tube workers set about organising against impending privatisation. However, a majority of the workforce was technically self-employed, non-union casual contractors hired through an agency. To bridge the divide between permanent union staff and non-union casuals, workers formed the Workmates collective, based on mass canteen meetings at the main depot. Out of these mass meetings came numerous on-the-job direct actions, the most memorable of which is the ‘piss strike’, which took advantage of track safety regulations to turn bodily functions into a form of unofficial industrial action which won concessions literally overnight. During the peak of the struggle, the workers also operated a workers council of sorts, consisting of delegates from each ‘gang’ of workers. Although as the pamphlet highlights, as the struggle escalated the council was sidelined by spontaneous actions arising from the mass meetings. However, rather than simply summarising the pamphlet, we want to raise four critical points which to our mind are not adequately addressed. Firstly, it seems the issue of privatisation not fully explored, and nor is the workers failure to reverse it. While in the end privatisation was reversed, this was only due to mismanagement of the company, which lead to a state bailout and renationalisation - not as an expression of workers power. The victories workers scored were very much around day-to-day issues of terms and conditions, working practices and so on, rather than the bigger political issue of privatisation. And while passing mention is made to ParcelForce2, the analysis of both the mechanisms and rationale for privatisation is far too brief – little over a page. This seems a missed opportunity to analyse a central dynamic of neoliberal class relations, with privatisations underway throughout the public sector, notably in the Royal Mail and NHS. Secondly, the question of spontaneity vs organisation is broached but not properly explored. SolFed are advocates of long-term workplace organisation, yet at the peak of the struggle the Workmates Council was bypassed by spontaneous action from the mass meeting. Where does this leave the case for patient anarcho-syndicalist organising? On the other hand, the causes of spontaneous action aren’t really explored either. Did it reflect prior organisation with the RMT? Experience of unofficial action? Was it initiated by a show of hands, or did a minority take the lead and others joined in solidarity? These kind of dynamics get to the heart of the pamphlet, but are only really dealt with in passing. Thirdly, the pamphlet highlights the over-reliance on one key rep as a major weakness of the Workmates collective (management tried to sack him in 2008, but backed down following the threat of unofficial action). Where does this leave the syndicalist commonplace that the class struggle is the school of militancy, and direct action breeds new militants? While there sounds like an enduring culture of solidarity on the underground, there’s nothing in the pamphlet to suggest new militants were ‘born’, let alone militants politicised into revolutionaries by their experiences. Finally, there are unaddressed problems of generalisation of the Workmates ‘model’. SolFed’s strategy is based on workplace mass meetings like those described in the pamphlet, yet in this regard all workplaces are hardly created equal. While on the underground workers shared a canteen, from which they were able to exclude management from meetings due to the RMT’s recognition agreement, the same can hardly be said of say, office workers in a non-union workplace on opposing lunch shifts, who may never get the chance to meet in that way. How is the pamphlet meant to apply to workers in more precarious, non-union, private sector work? The workplace culture also seems more the exception than the rule, as a traditionally unionised, militant sector. The pamphlet even highlights the fact many of the agency workers were ex-Miners with experience of the ‘84-85 strike, and therefore wouldn’t cross picket lines. That puts them in a tiny minority of (British) temp workers, most of whom lack such experiences and from whom such solidarity probably can’t be taken for granted. None of these problems are insurmountable, but each could have done with more depth of analysis. And we do not wish to give the wrong impression by emphasising our criticisms. It is well worth the read, and credit is due to SolFed for not being content with either detached theorising or straight activism; they try and put their ideas into practice and then reflect upon it. Aufheben have long insisted that criticism must be practical and practice must be critical. Workmates provides an important account of a little-known episode in the class struggle, and an interesting insight into the workplace culture on the underground, one of the few places in Britain workers have managed to buck the trend of declining industrial muscle into the 21st century. Its weaknesses of depth don’t detract from a highly worthwhile read. 2. The profitable parcel delivery wing of the Royal Mail. ParcelForce was explicitly seen by Transport for London management as a model to follow in the path towards separating out sections of the service ready for privatisation. Workmates provides an important account of a little-known episode in the class struggle, and an interesting insight into the workplace culture on the underground. Its weaknesses of depth don’t detract from a highly worthwhile read.